Budge and Lucy. Lovely people through and through and pretty funny too! Their day was definitely a favourite of ours. For a good few reasons. 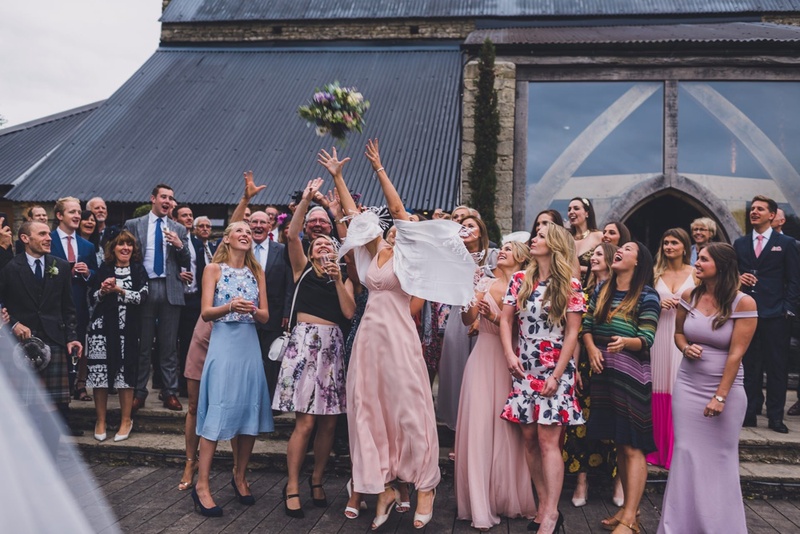 We absolutely love Cripps Barn weddings. A personal favourite venue of ours. We also felt truly accepted as guests (not just workers) at their wedding day and were treated so well by their lovely families. It felt like we were amongst friends from the moment we set foot in Lucys parents home. 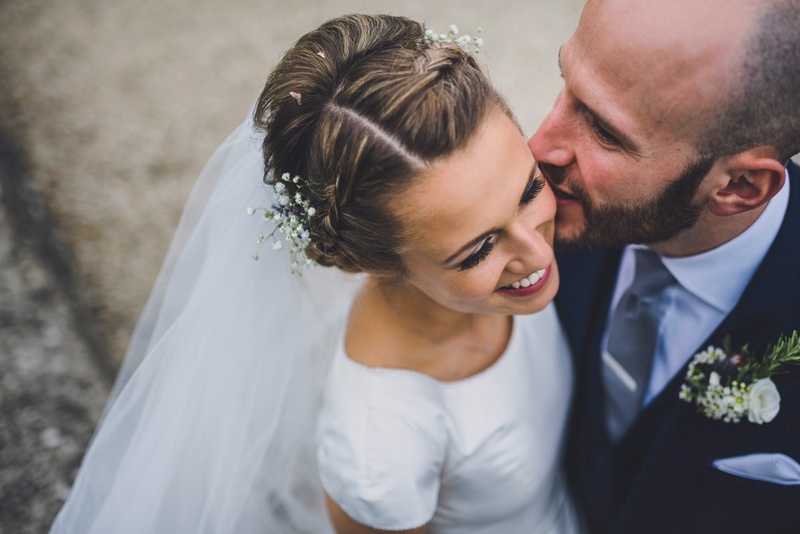 We dove on in, like we always do, and were able to witness and capture moments that felt so genuine and lovely. 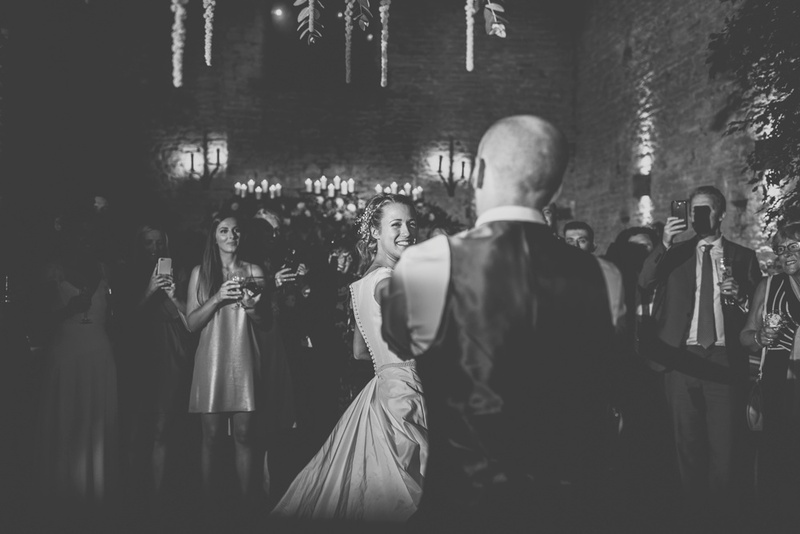 There was so much laughter throughout the wedding day and well into the night and it really made our job easy.
" 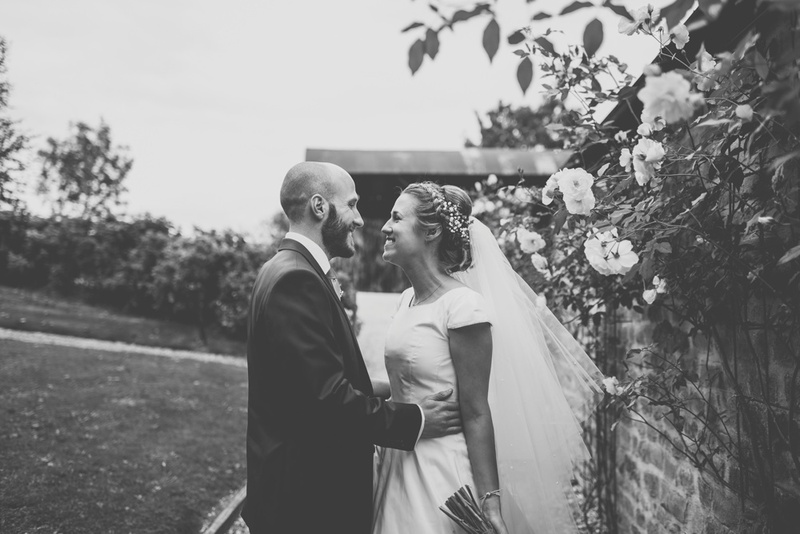 Budge and I met in our first-year at Loughborough university, and have been dating for eight years. We both moved south to work in London five years ago and live in St Albans together. On May 2nd 2015, Brian re-created our first date eight years previous. He proposed at midnight, in the rain outside the flat we have bought together. We got married in St. John the Evangelist Church, Elkstone, Cirencester, with our reception at Cripps Barn, Bibury. 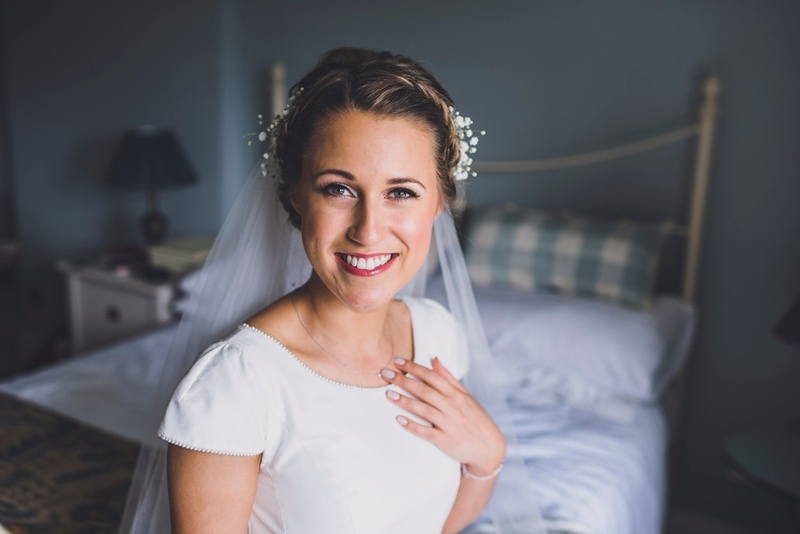 The church is next door to my mum and dad’s house so it felt very personal to have the wedding there – plus I could get ready in my old bedroom, in the comfort of my home, with my family around me. It couldn’t be better. Brian’s father is a minister so it was important for us that he could be involved in the ceremony. The local parish were very supportive, and the minister and Budge’s dad conducted the ceremony together, which was lovely and very personal. 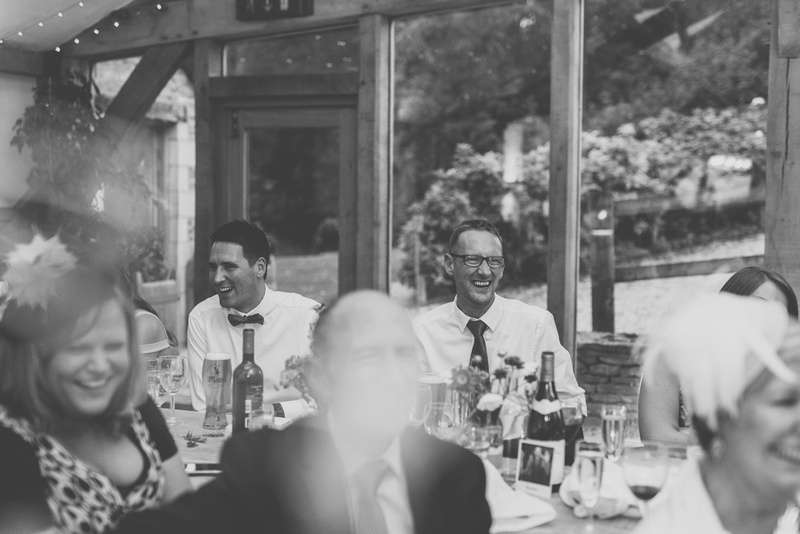 For the reception, we only looked at two venues before we both fell in love with Cripps Barn. I wanted to find somewhere simple that spoke for itself. I don’t think I am naturally a girly-girl. But I surprised myself by how much I enjoyed it and I can safely say that enjoyment came down to Budge. We organised the entire thing as a team, but made sure it didn’t take over our lives either. 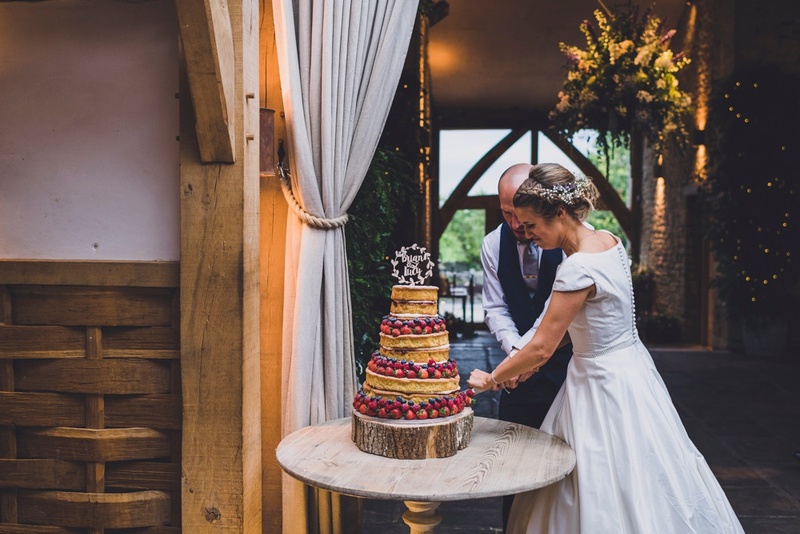 Rather than a theme, I guess the only thing we really wanted for the day was for it to feel very personal – for people to walk in and, regardless of the pomp, know that it was “Budge and Lucy’s” wedding straight away. 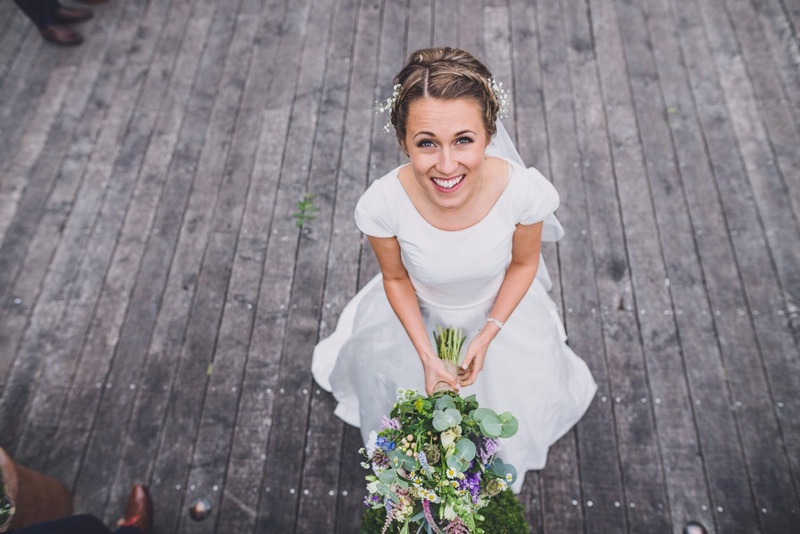 That started with Budge’s dad doing the ceremony, getting ready in my family home, hosting brunch at my mum and dad’s house the next day, and the small details to make our guests, rather than ourselves, feel special. My dress was an Alan Hannah dress. They do say you often don’t choose the dress you imagine yourself in, and that was definitely the case with me. The photographs were very important and personal to us. 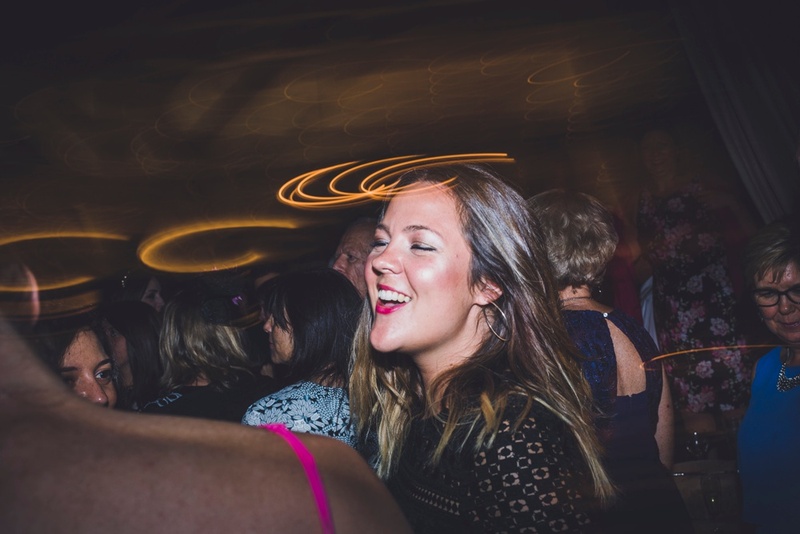 We wanted a photographer who could capture “moments” - the fun and happiness of the day, rather than stilted group shots. 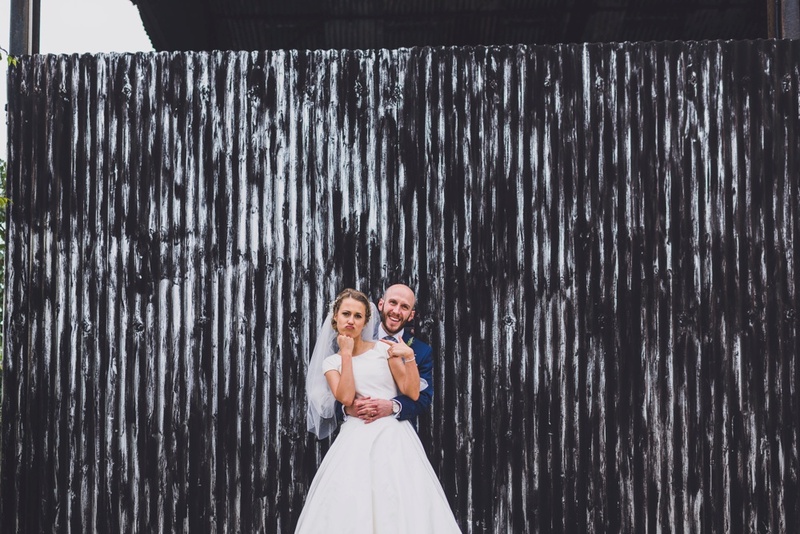 Owen and Charis are easily one of our favourite parts of our wedding day – their style of photography is exactly what we wanted. They were professional, quick (! ), confident and brilliant at moving guests along so the whole process doesn’t eat into too much of the day. I was NOT looking forward to the ‘couply’ shots, but they were so chatty, confident, and knew exactly what to say to put us at ease that it made the whole process enjoyable. Plus, they had put a lot of effort into getting to know us in the lead up to the day, so they knew how to make Budge and I relax and also capture the photos that looked like ‘us’ – hence, a few ridiculous ones. 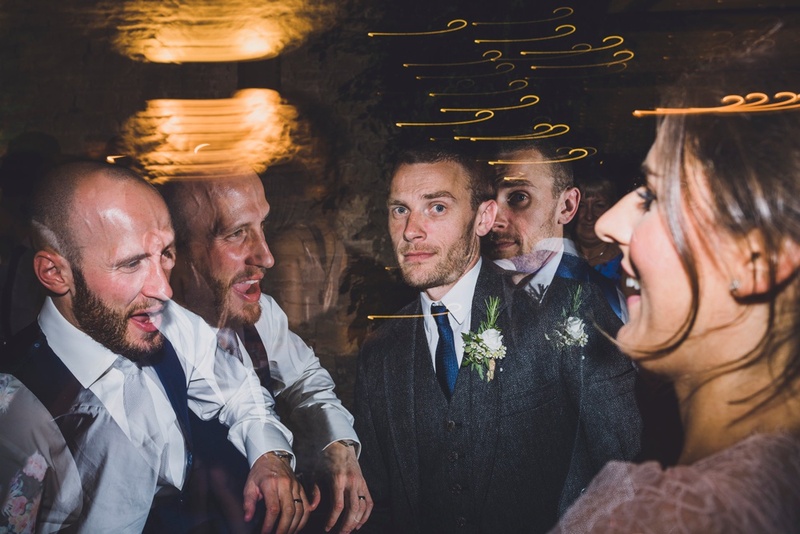 It was honestly like having two extra friends there – which is why I think the photos have come out so well. Their extra effort means every photo looks completely natural…because none of our friends or family were thinking about them being there. I will also never be able to thank Charis enough for how she was the morning of our wedding. She was such a calming presence; it was like having a fourth bridesmaid. 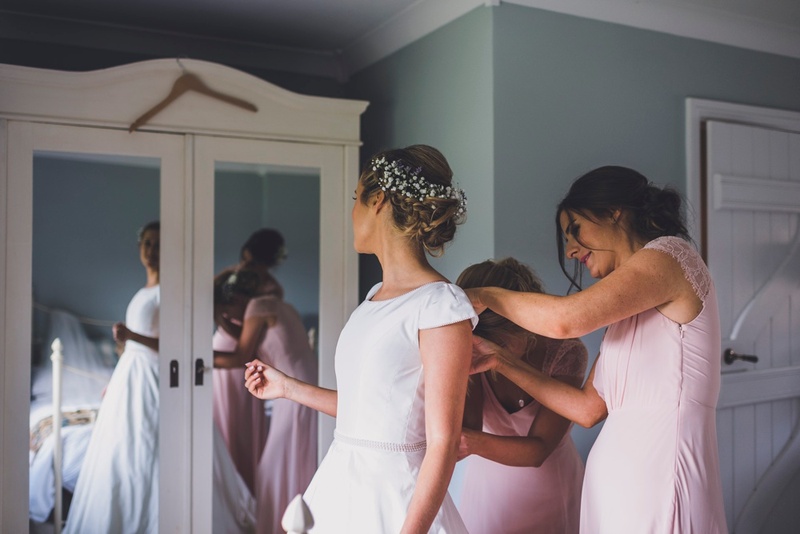 When one of the bridesmaid dresses broke, she swiftly sewed it up with no fuss, when my mum was struggling to do the buttons up on my dress, she quietly took over (much to my mum’s relief!). 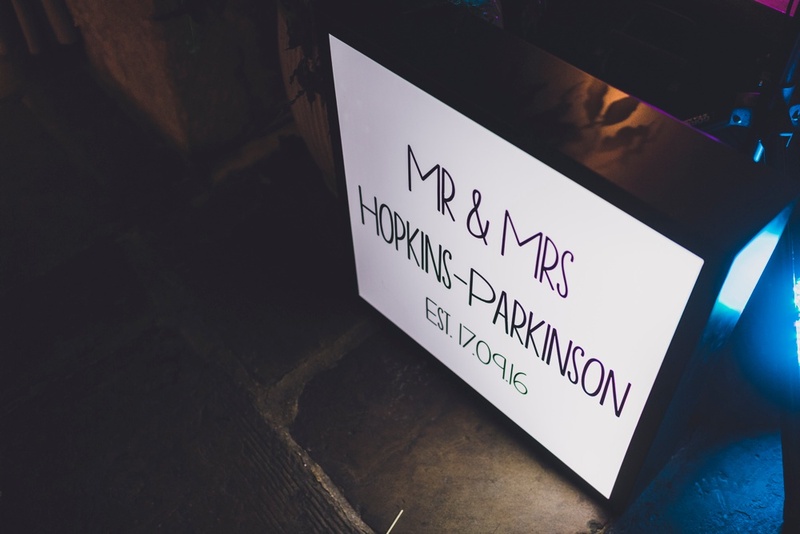 It’s also the little things they did – like checking in on us every couple of months in the lead up to the wedding, or sending our photos in the most BEAUTIFUL box after the wedding, with postcards print-outs of their favourite ones. Every single photo from our wedding day is a ‘moment’ captured. I couldn’t recommend them enough! Looking back at our day, the advice I would give to other would be to take some time. I loved taking 10 minutes with Budge to sit outside and just reflect on how great the day had been, and seeing all of our friends and family inside enjoying themselves. You actually have very little time just “you two” all day – it was lovely to steal a moment for ourselves and take it all in! 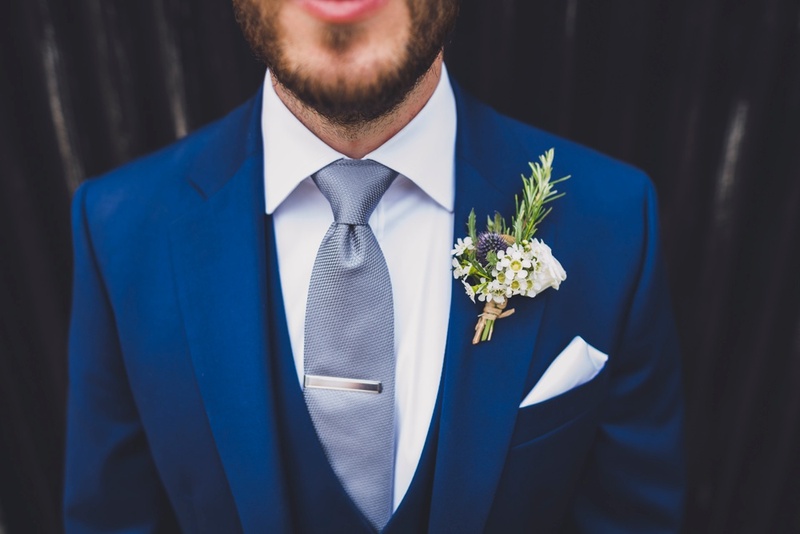 It’s very easy to get carried away with all the things you are “supposed” to do for weddings. Overall, I think we were good at cutting corners on bits and pieces we felt weren’t necessary for us (like a wedding car, expensive wedding favours). Once it’s all over you realise how easy it is to spend money on things that feel SO IMPORTANT to the day and actually mean very little. So I think, on reflection, I wouldn’t have bothered sending Save the Dates, as well as invitations. Don’t let it take over your life. It’s just a big party after all. Make it feel that way as much as possible for yourself, your husband-to-be, and everyone else involved. " 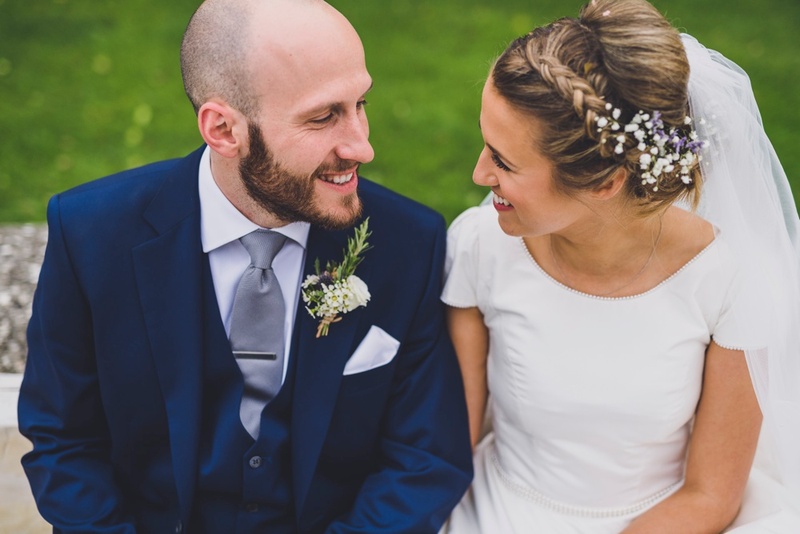 We have very kindly had this wedding featured on Love My Dress blog, so for a bit more info about bits and bobs from the day go have a look!